Last week, I went out to eat with two of my friends and along our food journey we decided to pass by a coffee shop. It was a cute, little shop filled with people sitting down reading the paper, on their laptop or talking with their friends. It was like something you see in a TV show like Gilmore Girls or One Tree Hill where everyone comes to start their day or enjoy a lunch break. The shop even had an outside section where you could sit outside when it’s nice outside. This had me thinking that maybe one day I could have my own coffee shop. I know this will require me to work or volunteer at one for some time to learn the ropes and also learn the management side, so I can know what I’m doing. I may be cliché, but I always wanted to have a homey type of feeling when it comes to starting or ending a day. Seeing that homey feeling in coffee shops in TV shows and movies make me want my own coffee shop someday. 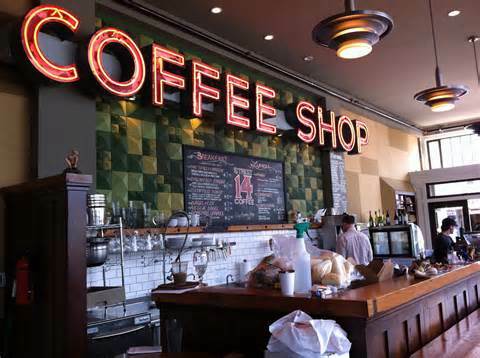 You never know a coffee shop could change your life.